The Yale YRD446-ZW supports both Bluetooth and Zwave for the ultimate in convenience and automation. 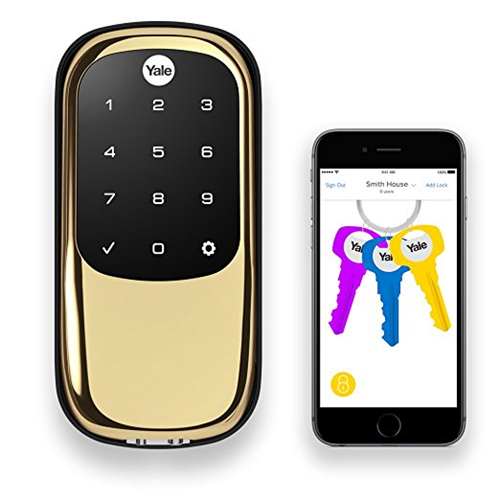 Use the free Yale app on your iOs or Android phone to lock and unlock the door, share virtual keys with family and friends and check access history. When you don't have your phone handy, or for family or workers, you can use your individual numeric code to unlock the door. The YRD446-ZW series deadbolt locks look great, are built with your security in mind, and let you put away your key in favour of easy to use numeric codes to unlock the door. There is no keyway, keeping it more compact and secure from picking and lock bumping. The YRD446-ZW can be used for new installations or as an upgrade to existing deadbolt hardware. The YRD446-ZW is Zwave plus certified and Grade 2 certified so you know it's built tough. 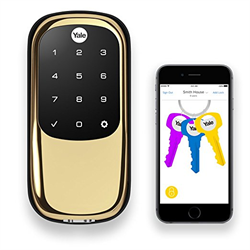 Without being connected to an automation system, this lock supports unlimited virtual keys, plus up to 12 entry codes for keypad access. The YRD446-ZW works with most Zwave enabled security and automation systems including Alarm.com, Vera, SmartThings, Homeseer, Zipato, Wink, Logitech and more.